WASHINGTON - Russia's government-run weapons manufacturer is supplying equipment for Iran's missile program, intelligence documents recently presented to the US Congress indicate. According to intelligence estimates, this does not represent official cooperation between Moscow and Tehran, but rather demonstrates the inability of the Russian government to prevent state firms from engaging in illegal trade with the Islamic Republic. 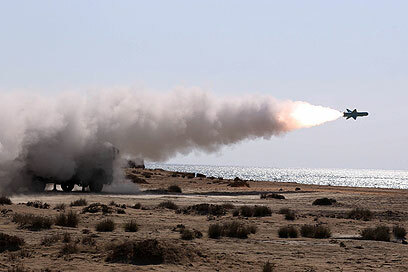 The Russian firm in question is Rosoboronexport, which supplied Iran with defensive missile systems in 2006 and continues to maintain business ties with Iran in the missile sector. "The assessment is that Moscow is almost certainly not adopting a policy of supplying support for Iran's missile program," the intelligence report stated. However, it continued, the Russians did not see trade agreements with Iran pertaining to its commercial space programs as violating their commitment on missile technology. Congress, meanwhile, is concerned that Russian companies are selling the Iranians equipment that is supposedly destined for commercial satellites, but could also serve Iran's ballistic weapons industry. While the Russian government has taken steps to control and enforce ballistic missile technology in the past decade, it has not fully succeeded, the report noted. The conservative website Washington Free Bacon (chk) writes that the international Missile Technology Control Regime (MTCR) is too loose. The informal MTCR was designed to address violations by states such as Iran, North Korea, and Syria and punish suppliers of those nations' missile and nuclear programs. The MTCR forbids countries from exporting missiles whose range exceeded 300 kilometers or can support warheads that weigh more than 500 kilograms. Some Republicans are accusing President Barack Obama of attempting to bury the documents to avoid damaging US-Russia agreements on trade and space programs. US-Russian relations have been held to a test since Vladimir Putin was re-elected president, and the Iranian issue is a bone of contention. Last month, Moscow warned Washington of "severe ramifications" on bilateral ties if Russian companies operating in Iran were affected by the new US sanctions on the Islamic Republic. In addition, Russian has expressed willingness to help Iran build a new nuclear reactor at Bushehr. The US, for its part, opposes Putin's proposal to reduce NATO defense systems and allow Russia to protect Europe from ballistic missile threats. Three years ago, Obama pulled back from a Bush Administration plan to set up a ballistic missile defense system in Poland and the Czech Republic, and replaced it by deploying advanced ships that could take down ballistic missiles. Since then, Washington has launched a broad-based defense program that includes Spain, Turkey, and Romania – which Russia, fearing threats to its nuclear deterrence – was also invited to join. See all talkbacks "Russian manufacturer selling missile equipment to Iran "